what do CEO’s want from product management? 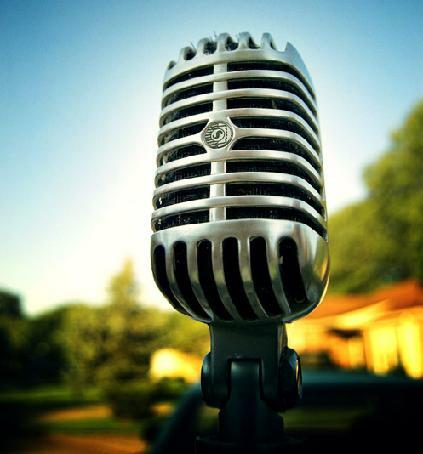 Recently I was given an “open mic” and was interviewed by Tom Grant from Forrester Research. Tom was great and we had an interesting discussion on product management leadership, building an action-oriented team and what do CEO’s want from product management. I’d invite you to listen to our discussion and comment here or directly on Twitter at jim_holland. One of the rules of post-interviewing should be, “Never listen to yourself after the fact.” However, I did and heard a few things that I thought are worth repeating for the product management community. While the markets continue to churn, I believe there’s never been a better time to be in product management. Why? First, the CEO’s position in your company is a lonely job and they’re on the firing line everyday. The job may look glamorous, but it requires making tough decisions every day, and making those with the best available information. At the end of the day, the CEO connects with sources he/she trusts will support difficult decisions. Product management is a force in providing valid and credible information to the CEO. Second, product management has matured as a profession. At a minimum, there’s formal training and certifications, and frameworks to align you and the teams you lead. Add to this the real world experience of being in product management and learning how to sustain and execute and you’d have to admit there’s a viable force in product management. So, who’s watching and who cares? There are numerous venture capital firms, equity firms and others who mandate that product management is in place, implemented and leading before they invest, reinvest or give up any money. There are bright CxO’s that know product management is the “go to” organization and look to your leadership to support key actions and decisions. Now that’s visibility! Add to this that investors are talking to other investors, executive teams, boards and analysts and you can see that we’re building some momentum and continuous visibility. How do we take this to the next level? We have to build upon a thriving community with its formal associations, face-to-face events such as product camps and use social media to stay connected. We have to set aside time share content, our experiences and be willing to coach and volunteer to those who haven’t had the experiences. Jim, excellent post. The part about the CEO being lonely is very true, at least in start-ups and smaller organizations. The pressure is high and we (the PMs) can relieve a lot of pressure by providing sound product leadership and direction. Although some CEOs have a tough time letting go of products, if we will provide they will gladly let go and spend their precious time on more pressing issues. Mike – thanks for your comments. I wonder where startup/early stage CEOs lose their loneliness and what’s its replaced with as the company gets bigger. Are they diluted and to what degree? I’m not sure where it happens, but it seems that as the organization grows and becomes profitable the pressure recedes to some degree. With profitability comes more support at the executive level, which reduces loneliness at the top. Great insight to the world of CEO’s. Great knowledge that we can relieve pressure by the quality of our management/leadership skills and our commitment to achieving the CEO’s goals. Let’s exploit some of that visibility thru our continued social media stategy…Let’s continue to commicate as a community and coach/mentor others to start conversations.